Take the protection of a direwolf with you wherever you go! 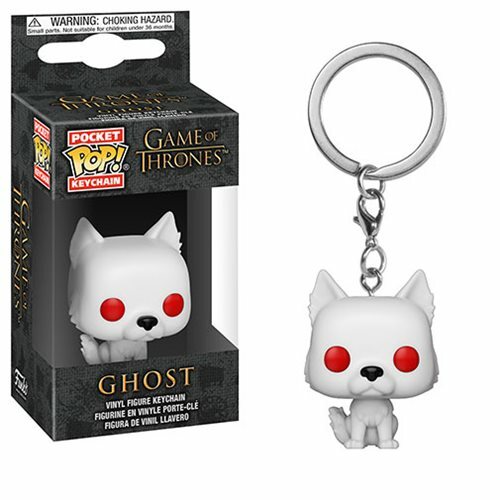 The stylized Game of Thrones Ghost Pocket Pop! Key Chain measures approximately 1 1/2-inches tall, so he's just the right size for your keys or backpack. Ages 3 and up.